"Pioneer Sunset" was taken on a Pioneer Natural Resources lease about 7 miles south of Stanton Texas on June 7th 2013. 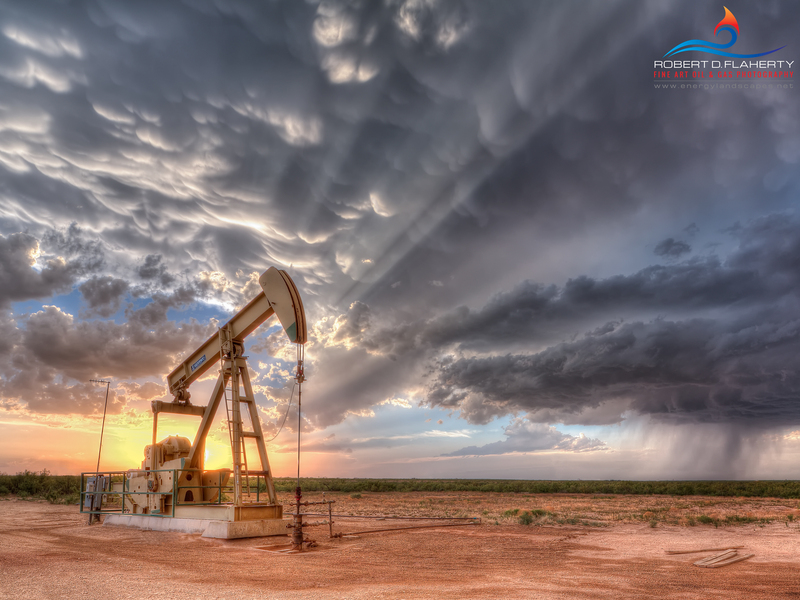 The Image features a Sentry Pioneer Resources pump jack and redeveloping super cell thunderstorm which earlier produced several tornadoes near Andrews Texas. "Epic" and "Passage To Midnight" show the same storm as it continued to redevelop into the evening. Oil & Gas Photography By Robert D. Flaherty.